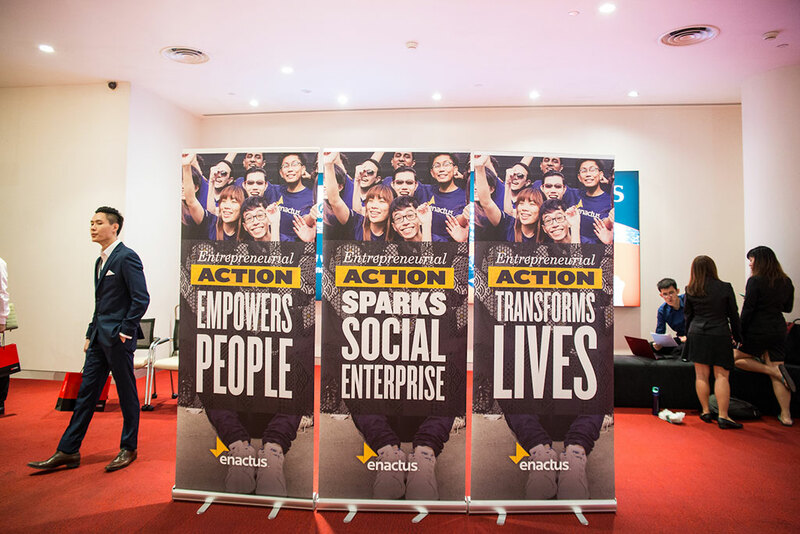 “Although having been involved with Enactus for over a year, this was my first time at the Nationals. It was a fantastic opportunity to hear the ideas that had made it through the competition to eventually get to the Finals, and also to just be part of the energy, enthusiasm, passion and innovation that the students bring to the competition. What struck me was also how much the judging panel had to offer in combined experience, across such a breadth of sectors. I really enjoyed hearing how some of my fellow judges challenged, guided and probed the students over lunch, sharing experiences that ranged across a broad spectrum: from launching a start-up social enterprise, through to running one of the most recognized brands in Singapore, all at one, cozy table. Three teams came to compete at this year’s event at the DBS Asia Central Auditorium in Singapore in hopes of being named the national champion. 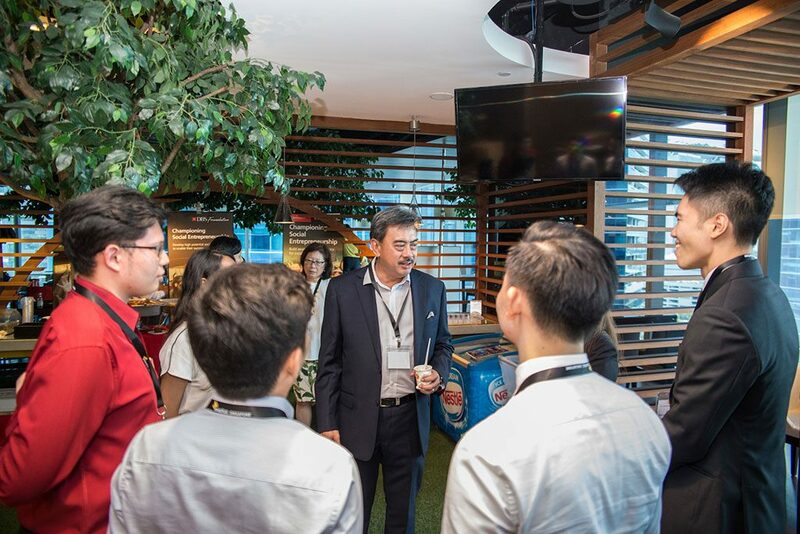 In addition, five teams were there to observe and all had the opportunity to participate in a poster exhibition, where teams could share new projects with attendees and receive feedback on future plans. Another great example of collaboration! In front of the full 131-person delegation, including a panel of 26 final round judges, the three competing teams shared their stories of innovation and entrepreneurial action with passion and enthusiasm. 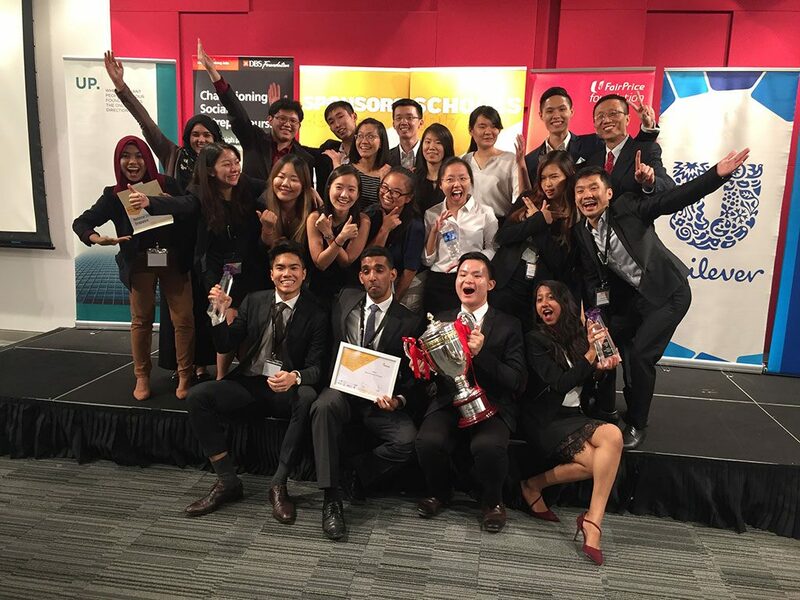 At the end of the day, the team from National University of Singapore was selected as this year’s Enactus Singapore National Champion, and will now prepare to represent their country this September at the Enactus World Cup in London. Judges were impressed with their Overture project, which empowers underprivileged students with basic money management skills and entrepreneurial exposure through real-life, everyday experiences. 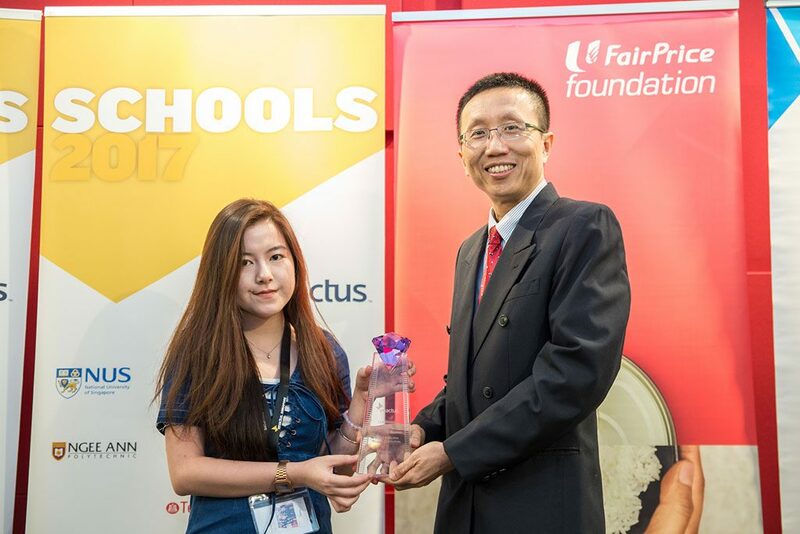 In addition to the national trophy, three other awards were presented: the Faculty of the Year Award went to Mr. Ho Thiam Aik in recognition of his work with Enactus Singapore Polytechnic. 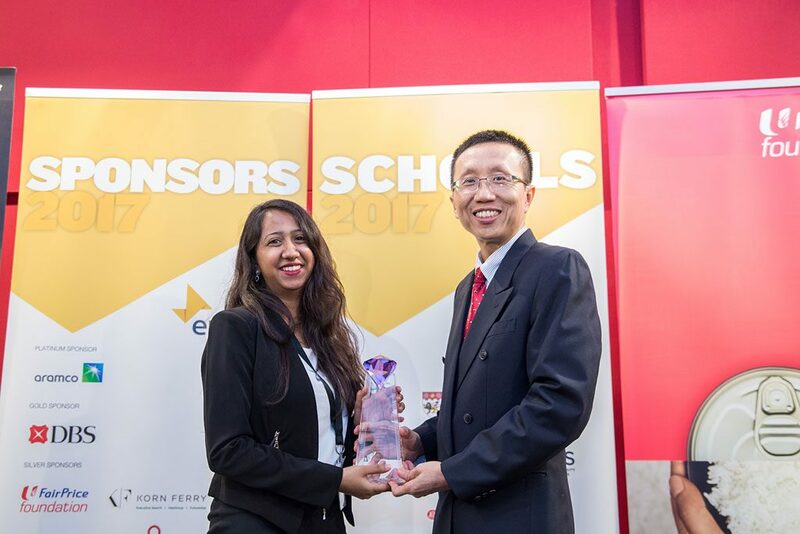 The Spirit of Enactus Award was presented to Singapore Polytechnic for always demonstrating Enactus’ values in their work. 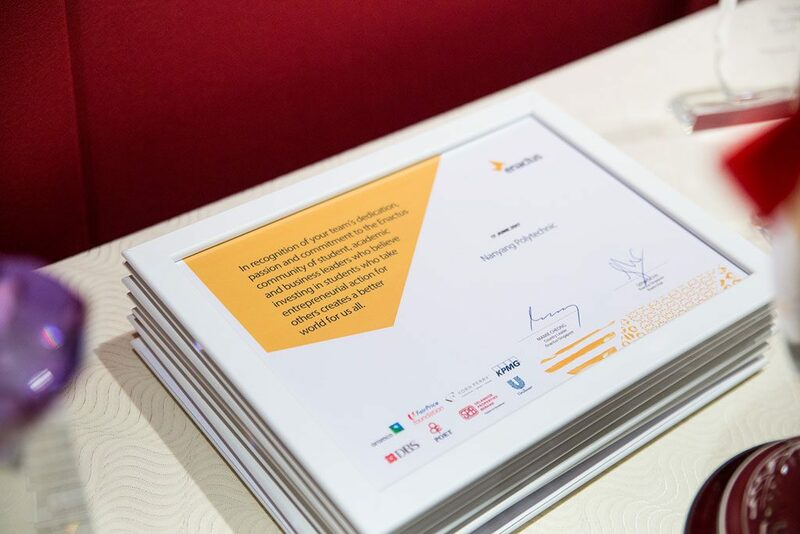 And for the second year in a row, the Learning Journey Award was presented: earlier in the year, teams participated in a project feedback workshop, where they shared their projects and lessons learned through the process, which was evaluated by judges. 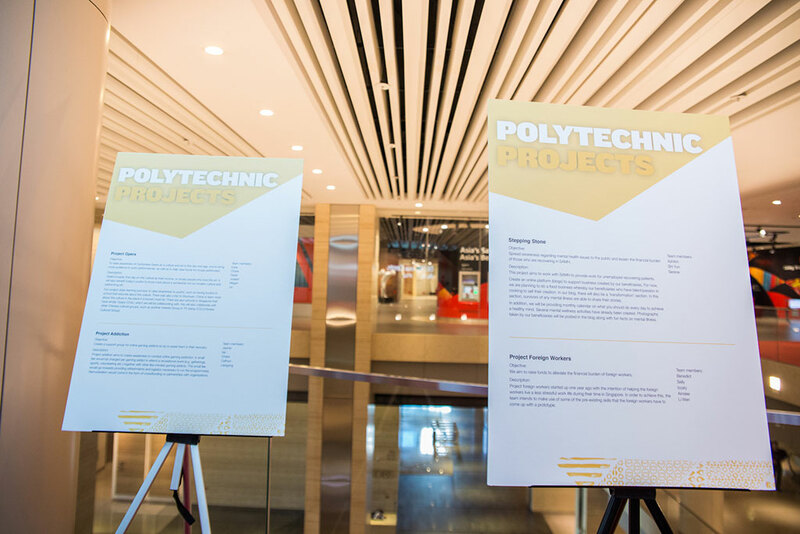 For great depth in learning through their project work, the team from the National University of Singapore was recognized for their Overture project; in the Polytechnic category, Temasek Polytechnic won for their Gaming Addiction project. There were some great posts on social media during their event, capturing the action and emotion of the day. 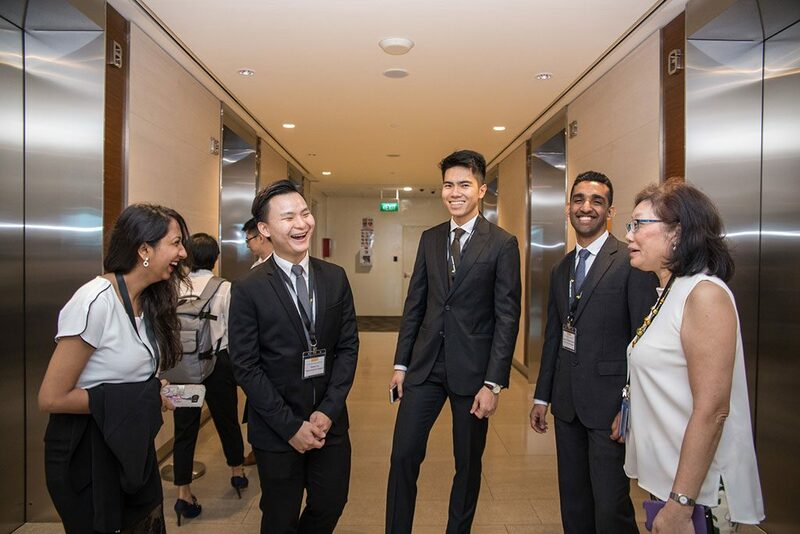 Two in particular, posted by Enactus Singapore on Instagram, are notable because they recognize two important groups in the success not only of the competition, but in the program overall: the volunteers and the judges. Finally, check out the cool Polaroid-type pictures that attendees were able to print throughout the 17 June event – what a fun way to capture the memories from an extraordinary day! Proud to have witnessed NUS’s first win in the Enactus Nationals. Time and effort put into the development of the club was definitely worth this moment – especially having so many members (old and new) coming down to support and also to grow your own projects. (Really admire the passion) So proud of the winning team, the incoming exco and the non-participating project teams that worked really hard to make positive changes to our society. Thanks for making this happen and have fun in London!!! 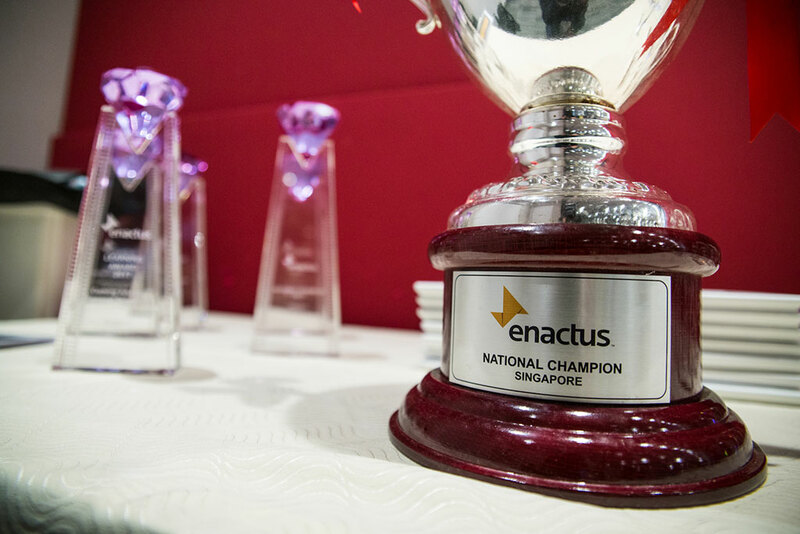 #weallwin #enactus #enactussg17!